Proactive Advisor Magazine: Rhett, describe your overall service philosophy in working with clients. The main goal of our firm is to facilitate sound financial decision-making by our clients. Education and examining options and scenarios are important parts of our process. At the end of the day, we want our clients to have the information and empowerment to be fully vested in shaping their financial future. We act as a knowledgeable resource and are there to guide them through both the planning and implementing of strategies. I like to position my services with clients using an analogy. I tell them to think of me as their “financial physician.” Just like a doctor who sees many patients, every client we work with is different. Each client needs to be thoroughly “examined,” which we do in our discovery process. And each client’s situation requires rigorous analysis to help with developing a game plan. For a physician, that might be lab work, x-rays, family history, and vital benchmarking critical to assessing their patients’ health. Based on those findings, they will prescribe a course of action and talk it through in detail with the patient. For example, there might be five different viable drugs for hypertension, each with its own benefits and drawbacks. Those options need to be discussed, and the patient ultimately makes the final decision. Similarly, we use sophisticated planning tools to examine multiple scenarios and develop a tailored financial plan. We are not trying to sell specific products; rather we practice holistic examination of a client’s financial health and find a course of action leading to positive outcomes. We want to instill confidence in our clients that we act in a fiduciary manner, have their best interests at heart, and do not employ a cookie-cutter approach. We have no obligation to recommend specific products. We develop a customized financial program that will be consistent with a client’s vision and objectives, whether they are an individual, couple, business executive, or business owner. Talk about your planning process. Let’s use the case of retirement planning. We start our initial meeting with clients by explaining how our process works—that it is very interactive. I bring clients into our conference room, where we can put their financial plan up on screen as we go through the planning process or have review meetings. I also explain how we work in terms of our fee-based planning model and answer any questions about how we are compensated. Then we get deep into the discovery process. Using my physician analogy, we need to construct a chart of where their financial health now stands. We will review assets, liabilities, current investment holdings, retirement plans and employer matching, beneficiary designations, current cash flow and budgeting, ownership and titling of assets, salaries and savings, mortgage payments, real estate holdings, Social Security status, and so forth. Any data that we can incorporate into our model we will capture—the first step is really all about financial modeling. We ascertain where a client is today based on what is systematically happening in their financial lives, consider what their projected future financial outlook under these conditions might be, and then assess where they are in relation to retirement-income needs. From there we can formulate plans to address potential income gaps. But that is just the hard data side of the equation. We spend a lot of time with clients in a more qualitative discussion of their specific situation, their personal financial goals and aspirations, and any unique aspects of their lives or family circumstances. Going back to the physician analogy, the medical facts are one thing, but how the patient is feeling in their day-to-day life is tremendously important. We try to leave no stone unturned in understanding a client’s perspective on many areas of their lives, raising “what ifs” in planning for unforeseen circumstances and asking how they would ideally see their future. What tools do you use in the process? I have been using the same software system for financial planning since 2006. It allows me to model various scenarios for clients throughout the planning process. The planning system is cash-flow-based, net of tax. That helps in modeling different strategies and evaluating investment options to provide retirement income. It also has a robust client portal. Clients can link their accounts and see in one place their bank account, their 401(k), any brokerage accounts, college savings accounts, etc. It is not a transactional site but one where they can instantly see the status of all their major accounts. I also use specific software for evaluating clients’ risk profiles—that has become far more sophisticated over the past several years. I have another software program that is very robust in evaluating Social Security strategies for clients. And although not really a tool, an important part of our model is working in close coordination whenever possible with a client’s other advisors. We want to work with a client’s attorneys and accountant, making sure that the left hand knows what the right hand is doing. We provide them with valuable information on our planning process with the client and look for reciprocal information from them. In most cases, they will come to see that we are working in a very consultative basis on behalf of the client. That leads to a cooperative relationship that can make a major difference in areas such as legacy planning or tax-related issues. It is especially important for our small-business clients. How do you approach investment planning for clients facing retirement? I use a time-based approach that will break clients’ investment strategies into immediate, short-term, mid-term, and long-term segments. There is some overlap, but here is how it works. For immediate cash-flow needs, we will probably use a money-market account or savings account. But that might only cover a period of six to nine months of required living expenses or emergency funds. For the short-term segment beyond that, I might recommend third-party investment managers who use a short-term time frame for strategies such as absolute return or fixed-income total return. Depending on a client’s risk tolerance and assets, this short-term strategy might even replace the immediate liquidity approach. The types of managers we use have as their objectives a high degree of risk management, very agile tactical movements of money, and liquidity. A strategy such as this might move from cash to Treasurys to high-yield funds very quickly, depending on market conditions. Some of my higher-net-worth clients have standing letters of authorization where we can move their money easily in and out of the account as needed to cover expenses, or, for example, pay a tax bill. For the mid-term and longer-term segment of the plan, we have many different options. It all depends on the client’s time frame, assets, income needs, and risk tolerance. A typical scenario might be a blend of an annuity strategy for guaranteed income with equity and fixed-income strategies from different third-party managers. The key principle I follow is trying to determine how low a client’s risk exposure can be while still providing the income they will need over a lengthy retirement. That is one element of managing risk. Another is that time does work in the client’s favor over their entire retirement period, so they can probably take on a little more risk in the longer-term strategy segment. However, I still recommend being conservative in our planning assumptions regarding estimated returns. The third element of risk management is embedded in many of the active strategies we use, which are designed to have the ability to be tactical, responding to changes in market conditions. However, there are no guarantees, and active strategies can sometimes encounter a whipsaw effect in choppy markets. That is one reason why I subscribe to having a well-diversified blend of several different strategies, perhaps from different managers, represented in a client’s portfolio. A major aspect of the value I can bring to clients is performing due diligence on our third-party investment managers and constantly monitoring the performance of their strategies. Not all strategies will have peak performance in all market conditions, but the key question is, are they performing in line with their strategic objectives? If a client were to provide a referral to a friend or associate, what would you like them to say about your practice? There are three major benefits I hope they feel they have received in working with our firm. First, that we provide highly personalized service throughout our relationship. Second, that our firm has highly knowledgeable and experienced professionals who work in a fiduciary manner. Third, that we work always to educate and facilitate informed financial decision-making. I believe these are the core strengths of our firm. They have proven successful in building mutually beneficial long-term client relationships. 1. Financial-planning software that offers an integrated wealth-management platform, including a robust client portal and the capability to model a range of financial scenarios for clients. 2. Software that helps provide a quantitative measure of client risk tolerance, enabling alignment of client portfolios with individual risk preferences. 3. Advanced planning software to analyze a client’s or client couple’s potential Social Security claiming strategies. 4. A CRM solution that offers detailed tracking of client data, facilitating communications and workflow. Using mobile dictation and transcription software to capture discussions with clients and identify next steps. 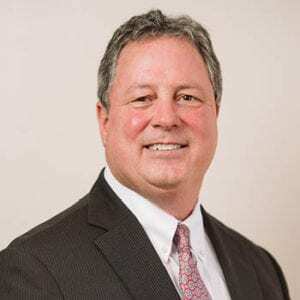 A graduate of the University of South Carolina–Aiken with a degree in business administration, Mr. Sinclair has over 28 years of experience in the financial-services industry. He earned his Chartered Life Underwriter (CLU) designation from the American College and is a Certified Financial Planner (CFP). 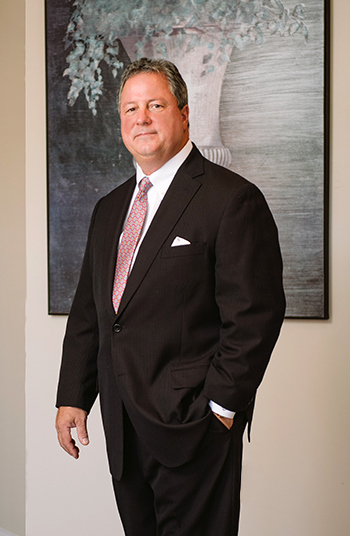 His experience includes working as an advisor and in management for a national financial-services firm, starting a wealth-management group for a large South Carolina accounting firm, and founding his own advisory practice. 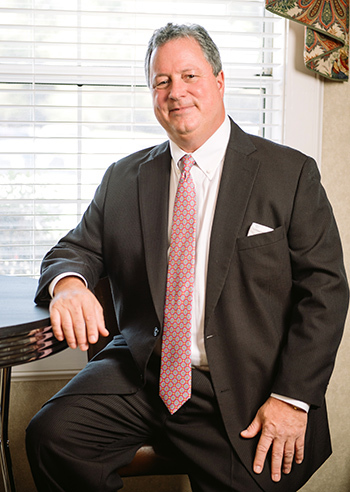 He joined Creative Financial Strategies in 2009 and manages the firm’s Aiken branch office. Mr. Sinclair is married to his “college sweetheart,” and they have a grown son. They are active in their local church, and Mr. Sinclair is a member of the University of South Carolina–Aiken School of Business advisory board. He has been an expert golfer since his high school years, played college golf, and has worked as a scorer at the Masters Golf Tournament since 1983. He also caddied for pro golfer Tommy Aaron in two Masters Tournaments.